There’s 3 tasty flavors to choose from: peanut butter & molasses, sweet potato, and pumpkin coconut. 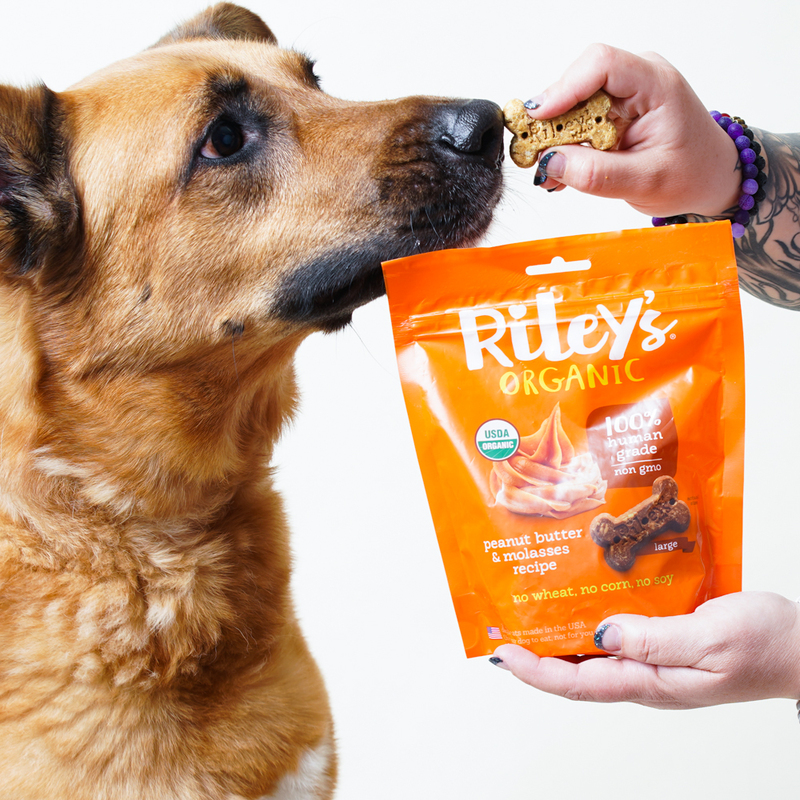 Through our exclusive partnership with GreaterGood.org, each bag of treats you purchase will provide 5 healthy meals for shelter dogs across the country! The Treats Are Great to Hide Inside a Sniff Diggy Snuffle Mat as Well! 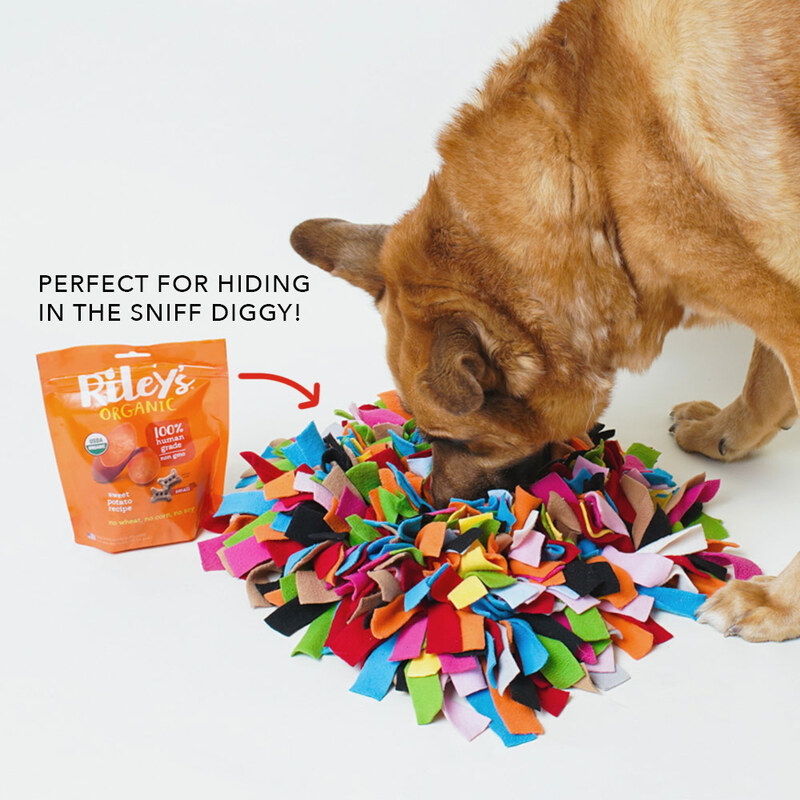 Our hugely popular Sniff Diggy mat allows you to hide your dog’s favorite treats inside. 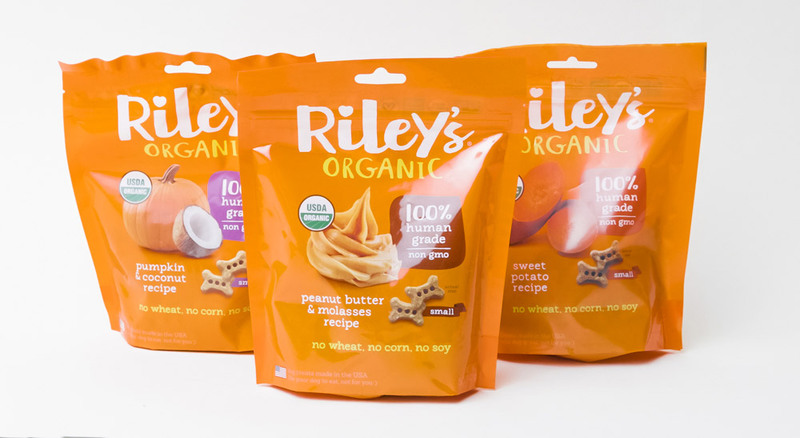 The small sized Riley’s Treats are perfect to sneak inside the cloth strips. 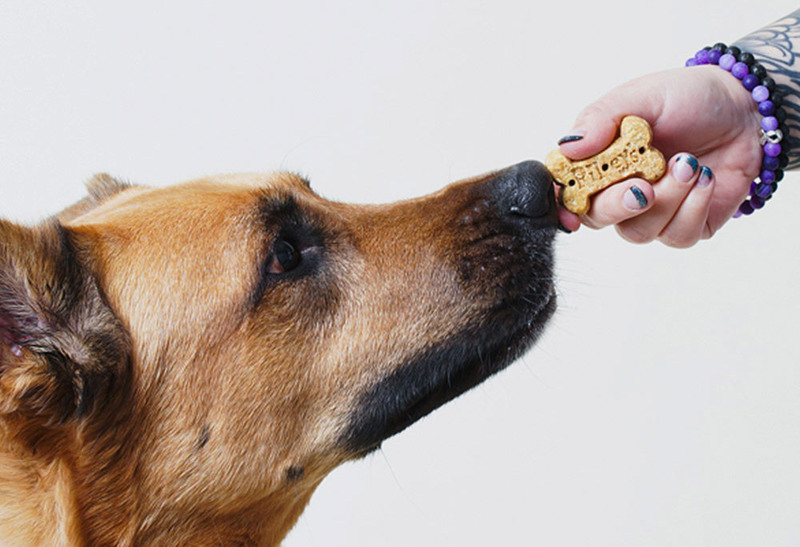 Watch your dog go nuts as they use their nose and brain to search out the goodies!